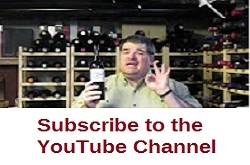 Michael Pinkus Wine Review - Newsletter #268 - Is Taste Supposed To Be King? WineReview: Is Taste Supposed To Be King? I have to say I’m a rather angry middle-aged man these days and maybe you’ll think it’s a bit of a trivial matter, but I have a bone to pick with wine tasting organizers: I’m really getting tired of going to wine events and tastings and being served wine in the crappiest glasses known to mankind – and worse, these are events that (in theory) should know better. Recently I told you about my experience with glassware at Taste Ontario, since then I have noticed an alarming trend of crummy glassware. Last week’s Austrian event would be a prime example – expensive wines in dollar-store glassware; County in the City, same thing, and the list goes on and on – how do people actually expect someone to 1) evaluate wine or 2) want to buy wine – when what you’re serving it in equates to no better than a Dixie cup … (and in some cases a Dixie cup would be better). I’m not just talking about the “trade” portion, but the consumer portion as well. These events are meant to showcase the wines and yet the vessel chosen to do so does the liquid absolutely no favours at all. Now, at times I have been called a glassware snob, and have in fact written about this ... but I would gladly take an ISO glass over the top-heavy, thick as a coke bottle bottom, shallow-as-a-bird-bath stems that are passing for tasting glasses at events these days. I know organizers want to jazz up these occasions with glasses that are “better” than the usual ISO tasting glass – but what you are substituting is a far cry from “better”, in some cases they are much worse, I could do better with hotel-room glasses, and we all know how crappy they are. In my travels, I have heard that some wineries are taking a stand against sub-par stems by not taking part in trade and consumer shows because they show their wines in a negative light, and it’s mainly because of the poor glassware choices being made by the organizer; some question whether it’s a money factor (ie: to keep cost down), but there must be a way to build a couple of extra bucks into the ticket price to compensate; there really is no excuse for bad / shoddy glassware these days. Others attribute this alarming trend of bad glassware to an overwhelming sameness of many of the popular wines being produced these days. But let me put it to you another way, when you're shopping for a new TV, do you want to test the TV out watching AMC Classic Movies (in black and white) or a movie in full Technicolor? It’s time for consumers and wineries alike to take a stand against these crimes against wine – how can one have confidence in what one is drinking / tasting when even winemakers have to make excuses about the glass they are pouring their wines into; I have heard the following phrase more often then I care to mention: “It’ll show better in the proper glass, but you get the idea … I hope” – it’s a sad, pathetic and groveling-type moment that makers and principals should not have to endure, and it is something that is happening far too often. The old saying “the wine will speak for itself” does not apply when the microphone is so sub-standard that it is practically non-existent. Trade show organizers, you want consumers and trade to buy the wines, which is the ultimate goal; show the wines off in the best light possible, it’s time to up the ante on glassware at ALL wine shows … and if that is not a financially feasible endeavor, then just bring back the ISO glass. Look on the app for tasting events from our partners: Southbrook Vineyards, Trius, Flat Rock Cellars, Peller, Mike Weir Estate Winery, Thirty Bench and Stoney Ridge. Want to become a partner in Grape Guy Events? Contact Michael Pinkus or Glen Brown directly.